Actress Betty White's new sitcom has been renewed. 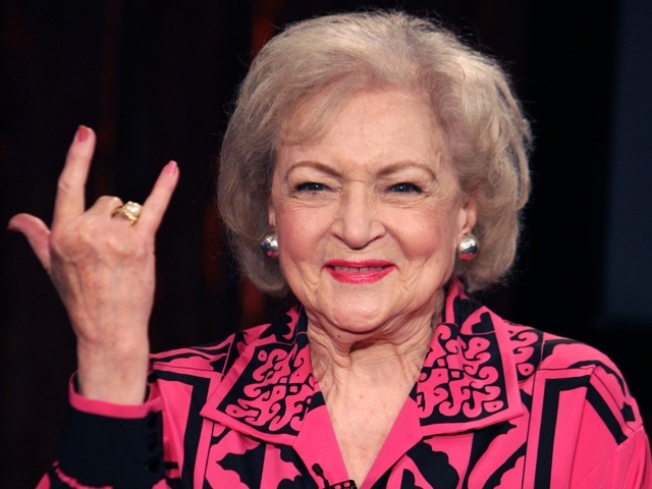 Betty White has received golden news – her new sitcom “Hot in Cleveland” has been picked up for a second season. TV Land gave the OK to film 20 new episodes of the “Golden Girls” actress’ new project less than one month through the show’s first season, UsMagazine.com reported. The comedy, which co-stars Valerie Bertinelli, Jane Leeves and Wendi Malick as best friends who’ve relocated to Cleveland and are living under one roof with White as the caretaker, is TV Land’s first original scripted program. Earlier this week, the ”Hot in Cleveland” gals released a special promo segment in the hopes of persuading star Cleveland Cavaliers guard LeBron James to remain in the city. White, 88, has received a career renaissance in recent months, following a well-received Snickers Super Bowl commercial and star turn on “SNL,” the May appearance itself the culmination of a Facebook campaign. In other White news, The Associated Press reported Wednesday that the actress is set to appear in her own 2011 calendar opposite a group of shirtless men. Proceeds from the $12.99 “Betty White Calendar” are set to go to the Morris Animal Foundation, according to the AP.